Boating and kayaking are a challenging task when it comes to handling the wavy, bouncy or rough water. While we are boating the most undesired thing we face the water on the floor of our vessel. There can have the fair reasons why the floor sinks under the water and basically you have no control over the environment and water. Even, there can have the leakage on the floor of your vessel or it can be unfortunately cracked or injured because of hitting the rocks or some hidden weird things under the water. Basically, it mostly happens when you use your vessel on the shallow water, but without any doubdt no one expects to fall under in trouble with their injured boats and the bilge pump can be an amazing solution in this circumstance to bring back your vessel in its beast mode. On the other hand, while you are fishing, touring or having fun on the coastal water, the wavy water can hit your boat over and over and you would have no control over it. So if you paddle like half an hour, you would discover lots of water around your seat that actually would consume the space of your deck. So it would make you totally uncomfortable and you expect the immediate the solution to recover your boat from these waters. Moreover, if you run your vessel on the lake or any calm water source, without any message the rain would hit you. Even when you frequently strike the paddle in the water, after one or two hours the dripped waters from your paddle can make the kayak’s floor uncomfortable. So the bilge pump is the intelligent and innovative equipment has been created for paddlers that can help you to dry out the floor. Either manually or automatically, you can easily clean out your vessel within minutes. But, using the bilge pump, especially the electric one could be uncomfortable if you basically don’t know how you should install and use it. Although, once you have done it, you don’t need to struggle with a bucket to clean your bilge. You would just sit back and enjoy your fishing, kayaking or touring. On the other hand, the manual bilge pump is an option for the people who just want to drain out the water manually. You don’t need to have a minute of experience to operate a manual bilge pump. Whenever you feel the floor goes covered by the water, just set up the bottom over there and place the end of the hose out of your vessel to quickly pour the water elsewhere. 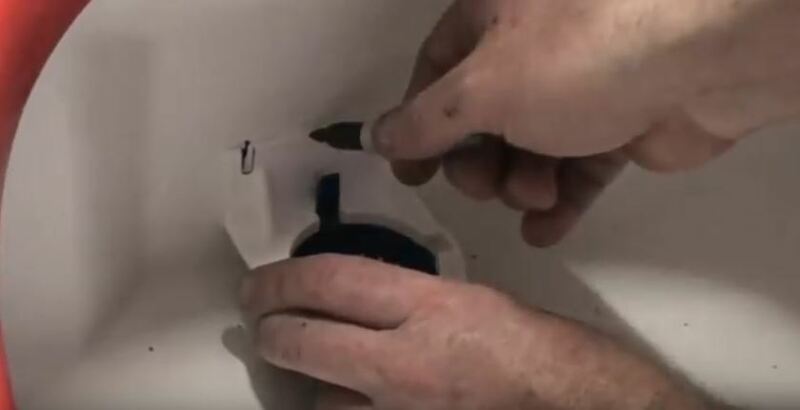 There is no installation required at all to use a manual bilge pump. You can keep it stored in the storage boxes of your vessel and necessarily open it out from the storage box whenever you need a quick clean up. The manual bilge pump something like a syringe, you have to pump up and down the handle to hold the water in your pump and drain out to elsewhere from your boat. The manual pump includes a hose that aids to remove the water. So you must place the end of the hose out of your boat to start draining and within 4-5 minutes you are able to clean out a few gallons of water. Basically, the manual bilge pump isn’t good for the challenging moments and not to drain out tons of water. They are good for kayak, canoe and where your vessel won’t hold tons of water. The electric bilge pumps are efficient and they can drain out tons of water without forcing you you to struggle with disposing. Even if your boat injures unfortunately, the bilge pump can aid you to run your boat in this moment and come you back to the shore without letting your boat somewhere. Even, if you are fishing in offshore and the rough water throws lots of water over the floor of your bilge, the electric bilge pump can drain them out in a few minutes. But, the battery powered bilge pump can’t run if you haven’t any battery in your vessel while you must install them. The electric bilge pump even can be two types and the innovative one would have the sensor that would automatically detect and run the pump when the floor goes under the water. For other type electric pump, you can use the switch to build up an established and secured electric connection. But, before confirming their presence on your boat at first you must install it. So, let’s see how to install it. Nuts and Bolts (the pump includes). Setting up a bilge pump slightly varies with the type of vessels. So putting it on a boat and kayak can be slightly different. But, we are going to show you how you can set it up on a kayak. Either you use a boat or kayak, you have to obviously set up the bilge pump on the deck while the bottom must reach over the floor as if it can work when there is only 1cm water left. The bilge pump basically includes a stand to mount on the side, so you don’t have to drill over the floor at all. You can adjust it to the side hull through ensuring that the bottom of the pump still can reach over the floor. So, at first put your pump with the stand over where you want to want to mount and mark the point where you need to put the screw. After marking you can drill over there and easily set up the pump. 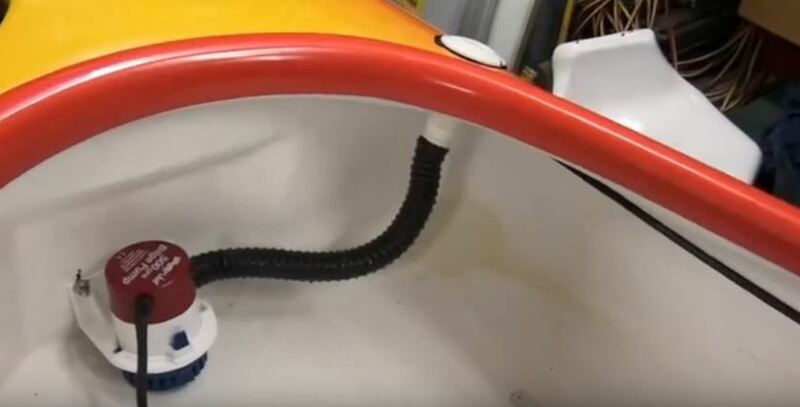 After setting up the pump, you have to connect the hose with bilge pump to hull screen fitting pipe. So, find a suitable place on the hull to fit the hull screen fitting pipe as if the pump can throw the water into the river. After marking the place, drill over there and make the hole a little bit bigger considering the diameter of the hull screen fitting pipe. You can adjust it by the glue or the bolt washer (if it includes). So after fitting it, connect the hose from the pump to hull screen fitting pipe. If you are having any problem to adjust the hose you can soften the ends by the hot water. To adjust the wires you might need to drill a few holes to set up the wires necessarily here and there and put the cable glands. After drilling and adjusting the cable glands, you might need to necessarily connect the wires and use the wiring connectors. So, to build up a connection from the pump to battery, use the connectors and shrink tubes necessarily while don’t forget to tightly wrap up the shrink tubes by the heat gun. Moreover, crimp the connection strongly as if they don’t become loosened. Basically, you can set up either magnetic reed switch or manually operated switch. If you want to use the manually operated switch, you might need to drill again over where you want to put the switch. 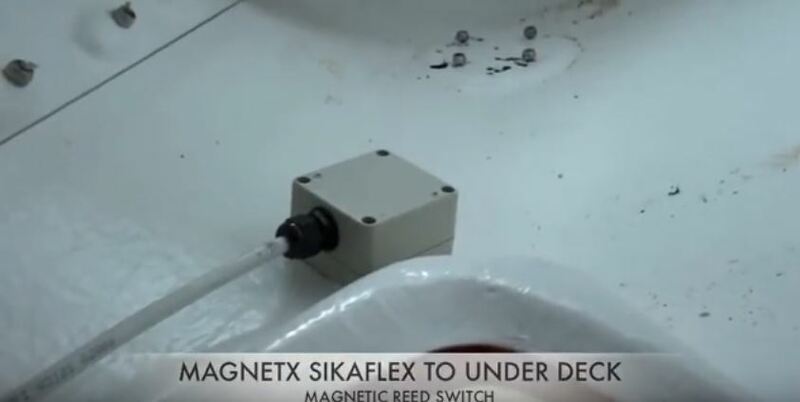 But if you want to adjust magnetic reed switch, you must adjust it under the deck as if you can easily operate. So, you can adjust over there by the glue and the pump would start running when the you switch the pump. So, this is how you can operate a bilge pump.